The Canon Pixma iX6550 is a colour printer that is best suited for home or small business needs. This printer with a width of 549mm is quite wider but its height and depth is smaller in comparison to other printers. The Canon Pixma iX6550 has an excellent print quality and allows borderless printing. It has a very fast printing speed with a maximum printing resolution of up to 9600 x 2400 dpi. It lacks in connectivity as it does not support PictBridge or Wi-Fi connectivity. It also lacks an LCD screen. The speed of printer is 11.3 pages per minute in case of monochromatic pages and 8.8 pages per minute in case of colour pages. This printer not only produces a good output but also rich and clean colours. The Canon Pixma iX6550 printer supports a variety of media types and can print on glossy as well as photo paper. The Canon Pixma iX6550 Ink Cartridges are easy to install. The Canon Pixma iX6550 is a colour printer that has a very good print quality and can print on a wide variety of media types. It can do borderless printing and can print on glossy as well as colour paper. Along with its good print quality it produces rich and clean colours. But there is occasional bleeding in case of plain text and also there is no Wi-Fi connectivity or PictBridge support. Q. What is the maximum resolution that a Canon Pixma iX6550 printer can print? A. Canon Pixma iX6550 printers can produce high quality output. They are capable of printing at a high resolution of 9600 x 2400 dpi. Q. How much power does this printer consume? A. Canon Pixma iX6550 printers consume up to 20 Watts of electricity while printing and about 1.3 Watts while on standby. A. Chipped ink cartridges enable the printer to check the ink levels remaining in the cartridge so as to notify the user when their ink cartridge is almost over and to ensure that cartridges produced by other manufacturers could also be used with the printer. Canon Pixma iX6550 ink cartridges are chipped to maximise convenience for the user. Q. I have run out of cyan ink for my Canon Pixma iX6550 printer. Can I buy Canon Pixma iX6550 ink cartridges, from your website, individually or do I have to buy them all together? A. No, you do not need to buy all the ink cartridges together. We provide individual Canon Pixma iX6550 ink cartridges of all colours so that you only need to replace the colour that has run out. We also provide multipacks containing all the colours to promote long term savings. Q. How to print a borderless image with my Canon Pixma iX6550 printer? Select the “Borderless” option from the “Page Layout” list on the “Page Setup” tab. Select a media type from the list and click OK. Check the Page Size list and select the appropriate size. When you execute print job, the image will be printed without any margins. Q. I have recently placed an order for the Canon Pixma iX6550 Ink Cartridges in bulk and yesterday got an email notifying that my order got canceled. I have not cancel my order then why did this happen? A. We apologize for the inconvenience caused. Regarding the message of cancellation, we would like to inform you that this happens due to the unavailability of the stock. We will place a refund to you if the payment for the order has already been accomplished. Once we’ll back with the stock, a notification will be sent to you so that you can again place the order for your items. Q. How can I find cartridges for my Canon Pixma iX6550 printer? A. To look in for the cartridges, please type the printer model name in the search bar at the top of the website. You will get the page displaying the Canon Pixma iX6550 Ink Cartridges that are compatible with your printer. Q. Does this printer allow borderless printing of photos? A. Yes, you can print the borderless photos using Canon Pixma iX6550 printer. Q. Does this printer support Wifi connectivity? A. No, the printer lacks in providing Wifi connectivity and it does not support PictBridge also. 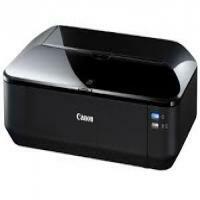 Q. I am planning to buy the Canon Pixma iX6550 printer. How many cartridges does it use? A. The printer uses 6 Canon Pixma iX6550 Ink Cartridges in total out of which 2 are the black colour cartridges and the remaining four are the colour cartridges namely Cyan, Magenta and Yellow with 13 ml of ink contained in them. Q. How will I come to know when my Canon Pixma iX6550 Ink Cartridge is low or empty? A. When the ink cartridge is low or empty, the printer will display a message saying ‘Ink Low’ on the LCD screen. You do not need to worry about the how much ink your cartridge has. The machine will automatically detect the ink level and prompt you to replace the cartridges when required.